Prince. David Bowie. Alan Rickman. Gary Shandling. Merle Haggard. All of these artists had fantastic careers entertaining people. They pushed their fans to explore themselves, their lives, and their loved ones. Many wonderful personal memories are attached to the work of these artists and their work have been woven into the narratives of people’s lives. When a particular song comes on the radio, it triggers a memory of grandma’s homemade chocolate chip cookies or when a movie title flashes across their Netflix queue they remember the first time watching it and spending time with their best friends commenting on the flick MST3000 style. These entertainers and many others serve as a living records of personal moments in people’s lives. When these artists are gone, people automatically bring up memories they had attached to them. It could be their way to honor their death; to pay tribute to those people in a personal way. Perhaps they want to relive a bit of what they felt back when they first encountered these performers. There are a number of reasons why. One thing I never truly understood till this day is why people try to make these memories grander/larger than they really were. Let’s take for example Chicagoans’ fascination with the ’85 Bears team. Many years ago I got into a heated conversation with a good friend of mine about this team. I couldn’t fathom why an entire city continued to worship a team and a coach that won a Super Bowl over 25+ years ago. I knew the general facts about the team and in fact recently watched an entire documentary about their journey to winning the Super Bowl. At the time people talked about their feat as if it happened that day. Why did I not hear anything about “those 1908 Cubs!”? I mean, if it was about winning a championship, then shouldn’t the Cubs trek matter just deeply? What about the 2005 White Sox World Series Champions or the 2006 Chicago Fire Champions? Why did they not compete with the reverence of this fabled ’85 Bear team? My friend responded was that it wasn’t about the championship itself; it was about all of the associated memories formed in that era that she was fond of.That line got me thinking. Are the associated memories around the work of an artist more paramount than the actual accomplishments that helped form those memories? Got Something To Prove There Buddy? Are You Down? Really. Are You Down??? What’s the last Prince record you listened to in its entirety? 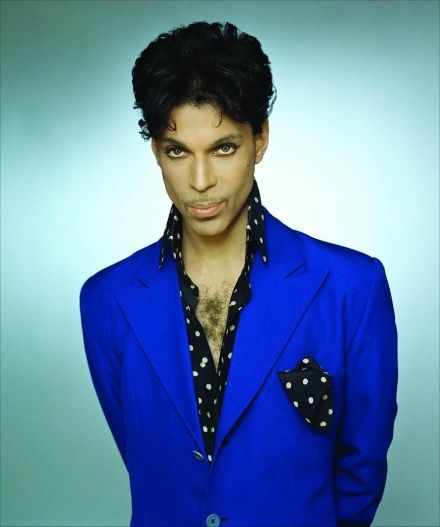 Can you name a Prince song recorded within the last 15 years and what record it came from? Did you know there was life after Purple Rain? If so, can you tell us what Prince had been up to since then? Now, if a majority of the people posting stuff online were able to answer these simple questions, I would keep my mouth shut. However, I know these folks can’t tell you anything about Prince beyond what memories they have associated with it. Maybe they remember their 8th grade dance when “When Doves Cry” came on and everyone lost it or getting laid to “Little Red Corvette”. For those posting up their tributes: does Prince dying negate the memories you had to the point you’re heartbroken? I certain hope not. Therefore, what are you so heart-broken about if you hadn’t listened to any thing from the man since 1984? When he was alive 12 hours ago I didn’t see you posting a cot damn thing. Now that he’s dead he’s important to mention? I probably am. I also think it’s disingenuous to not celebrate people’s work when they’re alive but then act like you were always down once they die. If people were honest with themselves and approached their posts with a bit of context, I may be less upset about it. Posting up something simple like “RIP Prince. You’ve brought a lot of joy to many people and myself included” would be satisfactory. However, don’t act like a fan if you really haven’t been down through their career. Next Post What’s The Chance @ChanceTheRapper Would Have A Bad Chance Experience At Whirlyball?! !